The Goodrich story commenced in the year 1997, when the promoters of the company T. Venkataraman and R. Gopal got their first company incorporated and named it Goodrich Maritime Pvt. Ltd., in Mumbai, India. The name was synonymous with their Good Intentions and absolutely Rich Experience. 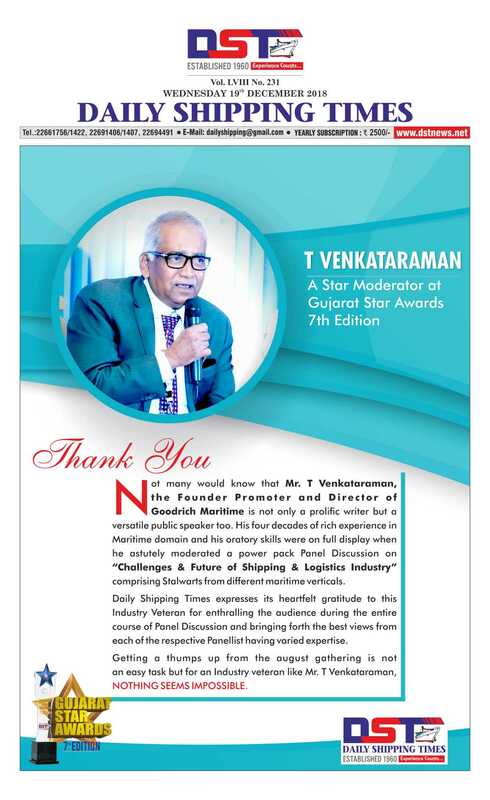 Though their experience spanned a couple of decades in innumerable spheres of shipping and logistics, they chose to begin with shipping agency services to the Indian trade, as their start-up objective. Thus began an extremely determined business journey, for the two highly successful executives. In the ensuing 19 years’ of its existence, this company grew in a formidable manner, to encompass within its scope of activities a comprehensive range of shipping and logistics services. Often recognised and awarded as the Most Versatile Shipping and Logistics Group in India. The Goodrich Group expanded geographically from a small presence in Mumbai, to various ports and ICDs in India and overseas. Today Goodrich has a very strong presence in overseas locations like the UAE, Singapore, Indonesia, Malaysia, Thailand, Kazakhstan and the USA. From a predominantly India-centric operation, Goodrich today has multiple global operations. The Goodrich management has never believed in having an unlimited number of group companies needlessly, but always believed in creating additional companies in the group, with a clear-cut strategy in mind. Sometimes geographical, and at other times activity-oriented! The highly proactive Directors of the Goodrich group have been trailblazers and trendsetters. Working on a 24×7 basis, these leaders have propelled the group to great heights over the last 19 years. This is evident also from the year-on-year growth in the top line and net profits of group companies. So deep rooted are their innovative capabilities, that they could even visualise a future where unless they explore multiple shipping and logistics segments, they would not be able to make the company grow in an all-round, robust manner. Today, they are in a position to insulate and protect their profitability from any untoward downward trend noticed in one or a couple of their multiple activities. If their efforts have been tireless, the group’s superbly trained and motivated personnel have taken a cue from them, to pursue the goals set by the Directors and are joint architects of the magnificent Goodrich edifice. To achieve such an eminent place in the mercantile marine world, the sweat of the people’s efforts was supported by an amiable office atmosphere and constantly evolving state-of-art IT infrastructure. 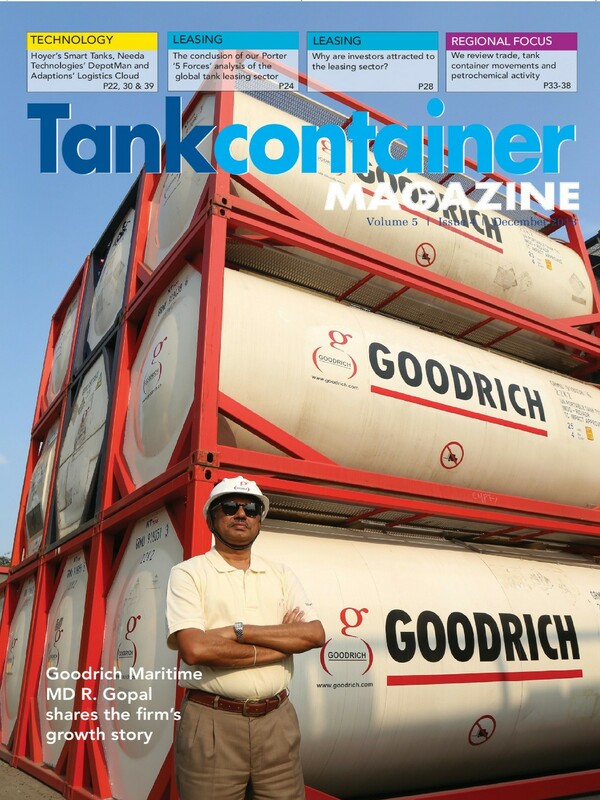 The parent company, Goodrich Maritime is already ISO 9001-2008 certified; along the way, the Dubai outfit Goodrich Maritime LLC has also been similarly accredited—both by the highly esteemed DNV-GL.